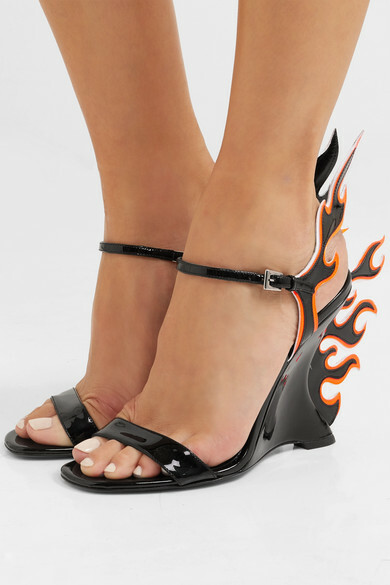 Prada's sandals give a whole new meaning to the saying 'hot on your heels' - spotted on the Fall '18 runway, they're detailed with 3-D swirling flames. 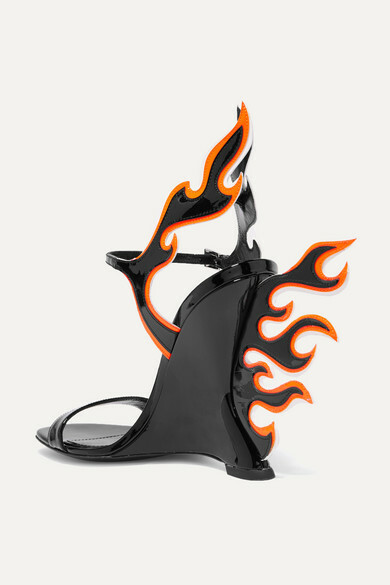 Originally a cult design from 2012, this re-imagined pair has been made in Italy from glossy patent-leather and set on a curved wedge heel. 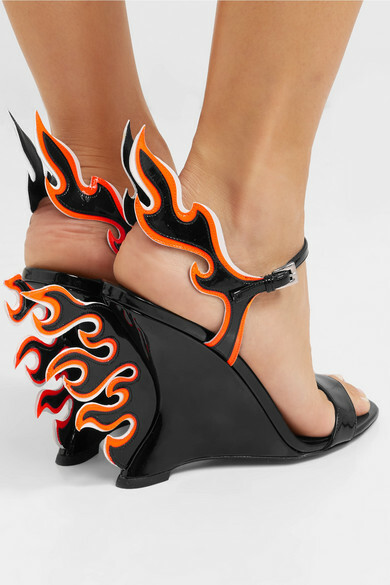 Try yours with socks and a midi skirt. 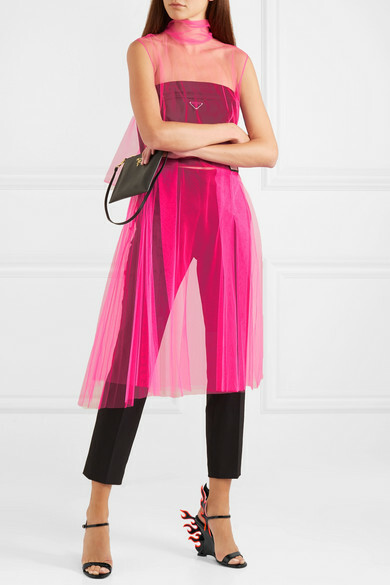 Shown here with: Prada Dress, Prada Pants, Prada Corset, Prada Pouch.